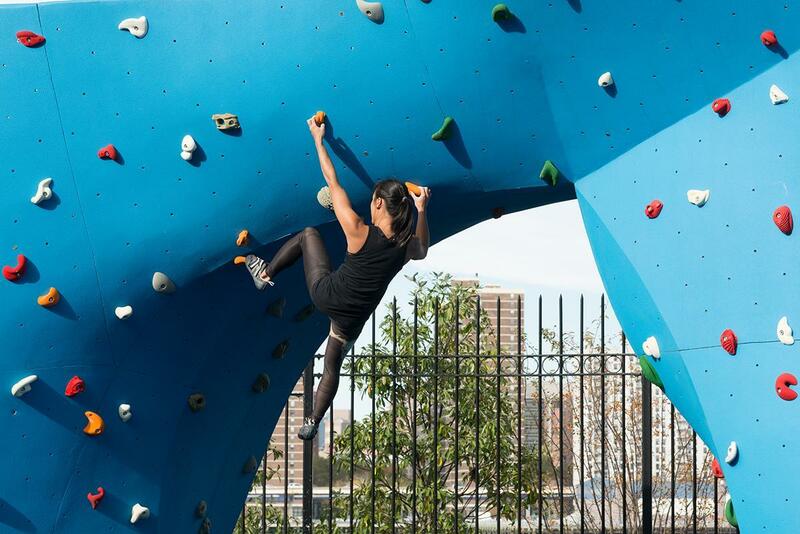 Veteran climbers and first-timers alike will delight in the brand new bouldering walls of DUMBO Boulders Powered by The Cliffs! 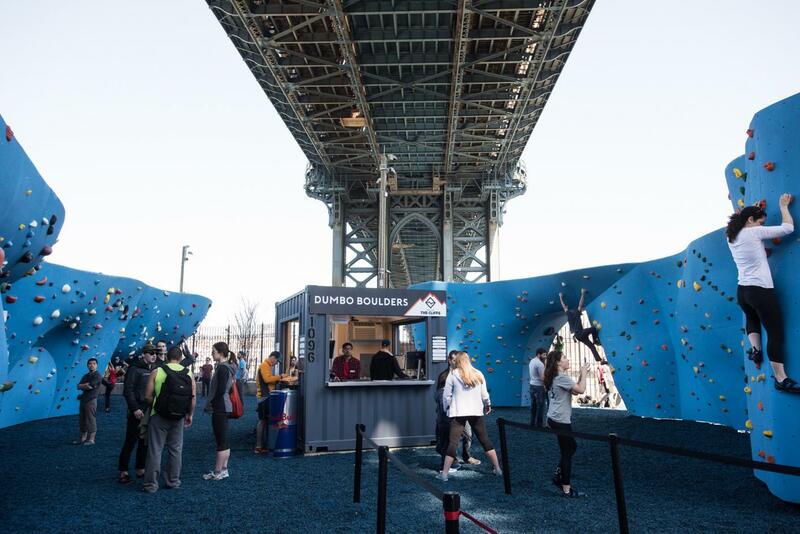 Head to Main Street to climb at DUMBO Boulders Powered by The Cliffs! 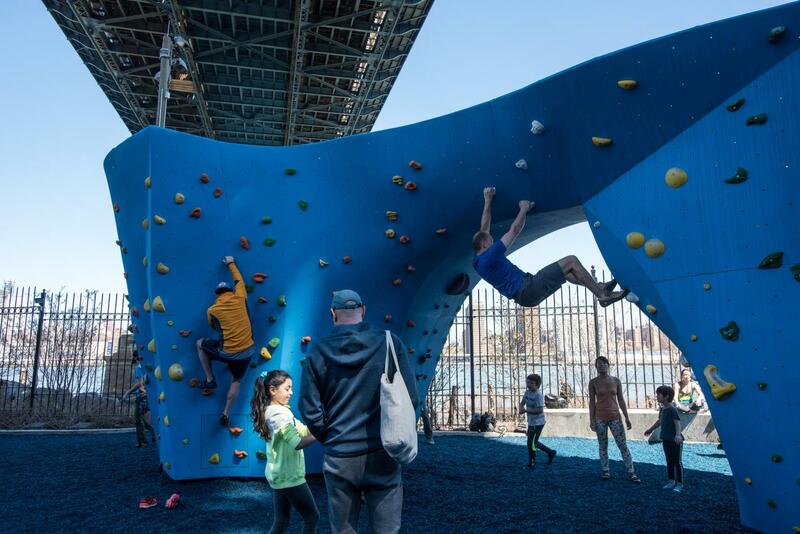 This expansive facility comprises the largest outdoor bouldering area in North America, and it’s right here in DUMBO at BBP’s Main Street section. Explore its many tracks and challenges, which accommodate climbers of all skill levels. With passes starting at $11, this will be your new favorite place to climb. 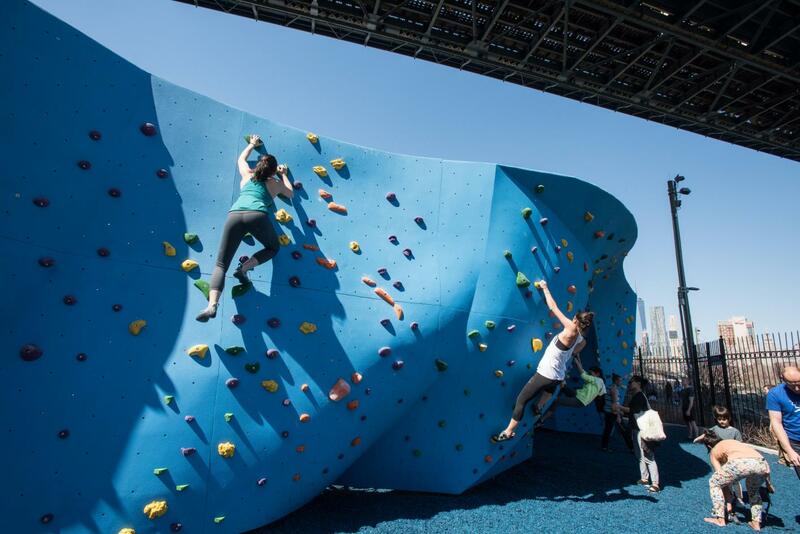 As an outdoor facility, DUMBO Boulders will close in inclement weather. See their weather policy here. 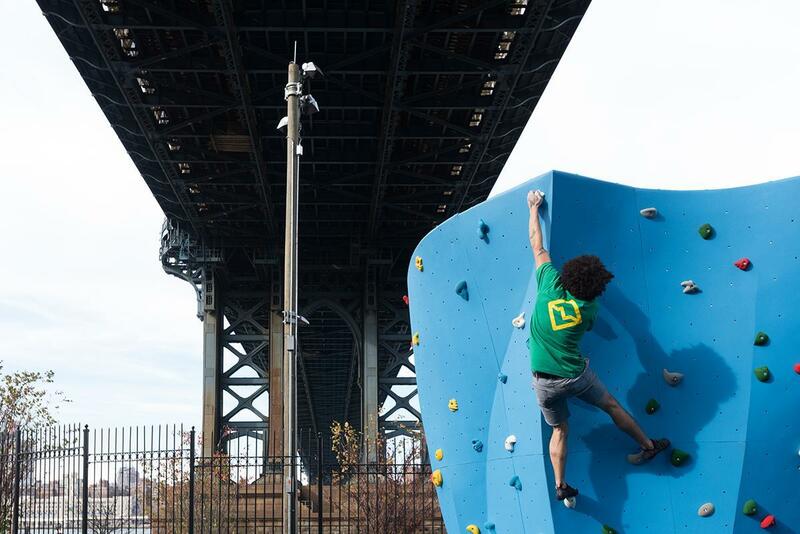 For more information, hours, and updates, head to The Cliffs’ DUMBO Boulders website.